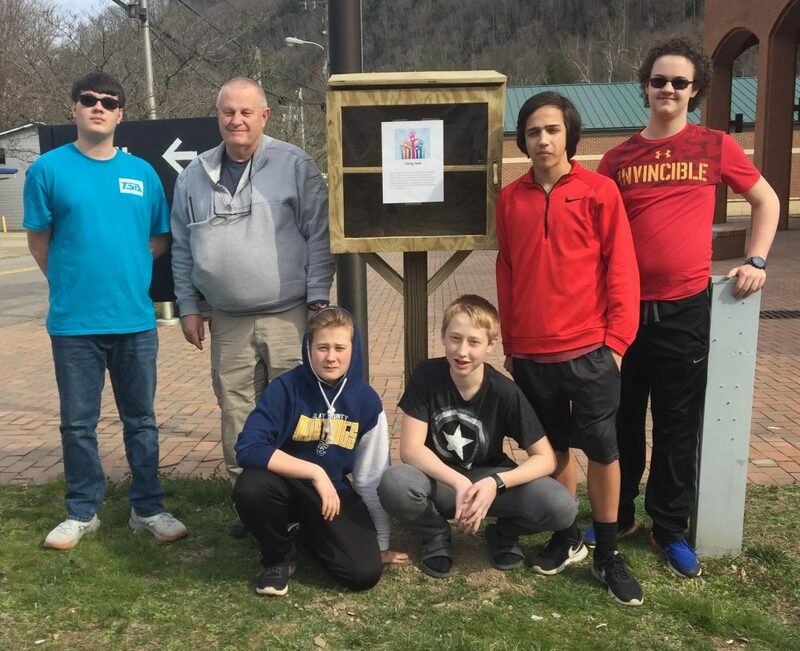 One group of young men from Clay County Middle School have came up with an intriguing idea to help the community. The TSA construction crew has created the Helping Hands box for their community. This group of boys consist of Brady Jones, Hunter Evans, Hold Dawson, Ethan Nottingham, Jack Haverty, and Jacob Morton. 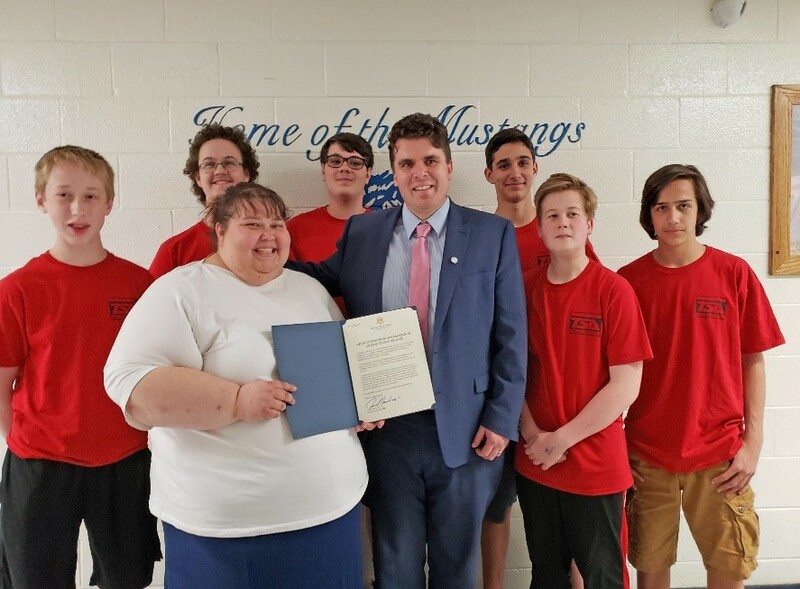 The task for this project was to think of a way to help the community. They quickly began to do their research, and came across the idea of a food box that you could take or donate from. They discussed the idea with their principal and presented their ideas at the county commission meeting. After the idea was approved, they contacted Mr. Evans with Aridea and he generously donated the cost of materials. Local churches and groups helped get the ball rolling by donating items to be placed in the box. They constructed the box outside of the Clay County Courthouse. Anyone can place or take non-perishable food items from the box. Community residents can leave anything from food to toiletries in the box to be used. The boys believe that this box will be a positive thing and continue to help in the future. Good luck in competition and thank you for the positivity you are bringing to the community.